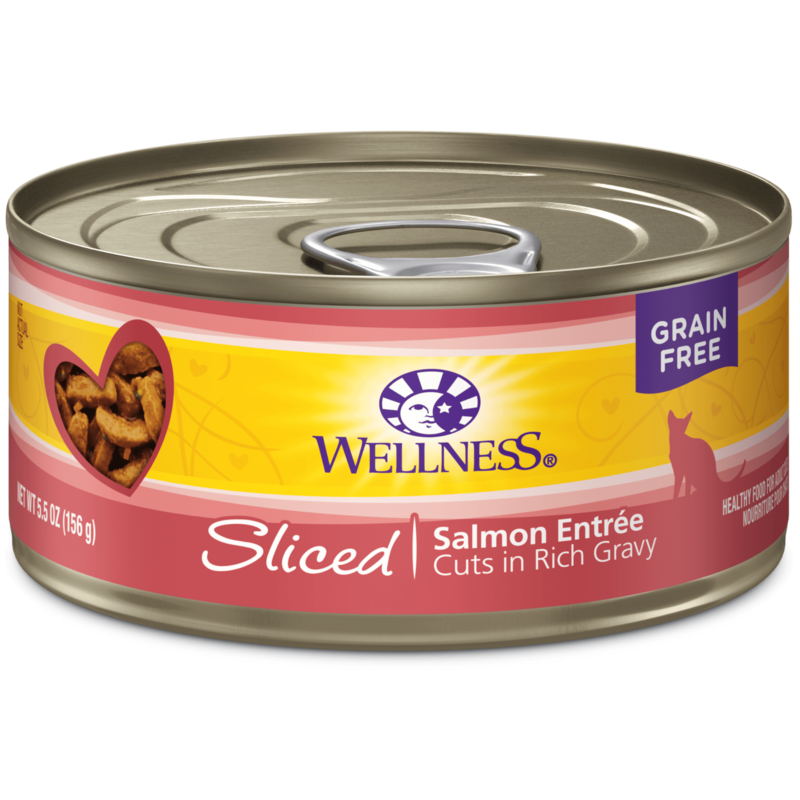 Available in 12 tasty varieties, new Cubed, Sliced and Minced canned cat food recipes from Wellness are the perfect way to treat your cat to the variety he’s been waiting for. 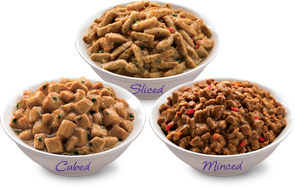 For each delicious recipe, we’ve paired succulent cuts of wholesome, all natural protein sources like chicken, turkey, salmon and tuna with delightfully savoury sauces that are sure to please the palate of your furry friend. Available in a convenient 85g serving size, each recipe is grain-free and, like all Wellness products, does not contain any wheat, wheat gluten, soy or added artificial colours, flavours or preservatives. For those cats that are in need of a single protein source diet, poultry-free and fish-free varieties are available. Explore all of the flavorsome choices today! 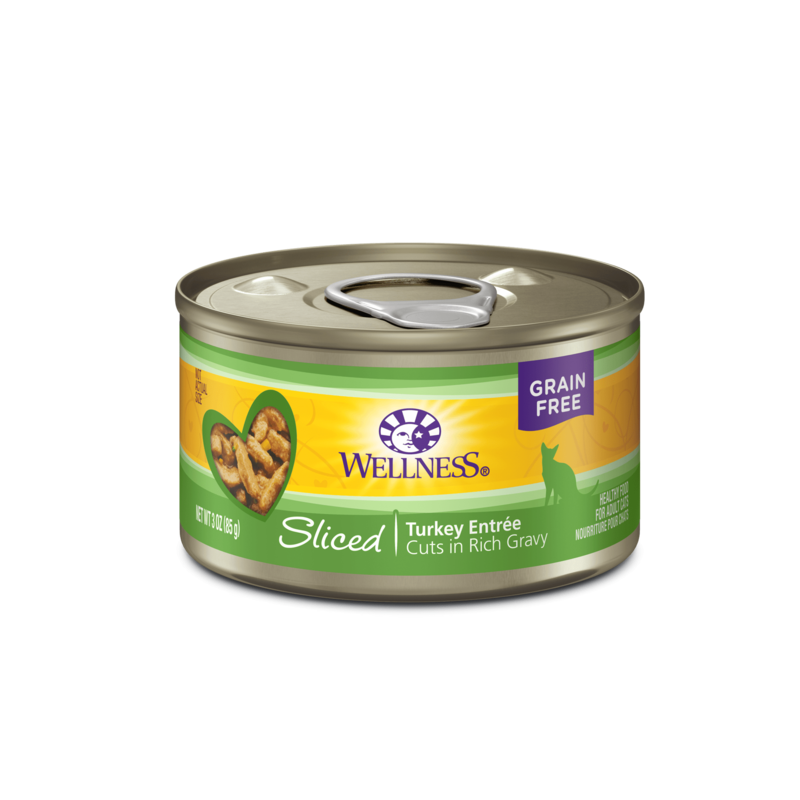 Calorie Content: This food contains 952 kcal per kilogram or 81 kcal per can ME (metabolizable energy) on an as fed basis (calculated).